Submitted by GSite_Editor on Tue, 07/24/2007 - 08:56. New from California based Sound Innovations is the Kickstand, a guitar stand that you're never going to have to carry anywhere, ever again. 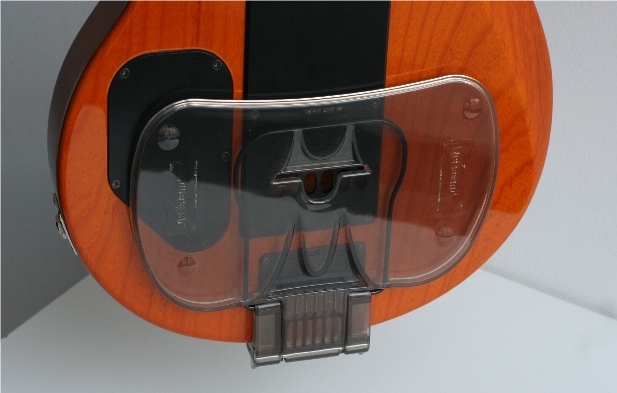 You see, Kickstand attaches to your guitars factory strap peg, hiding away when you're playing and flipping down when you need to stand your guitar. 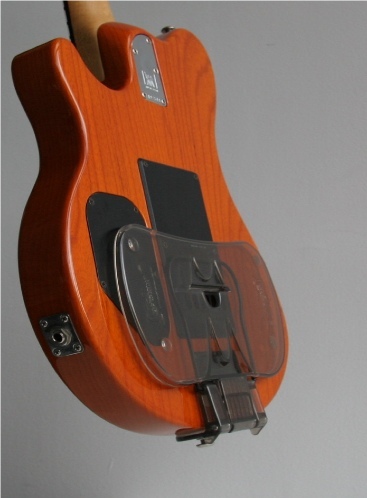 See a list of compatible guitar models here. 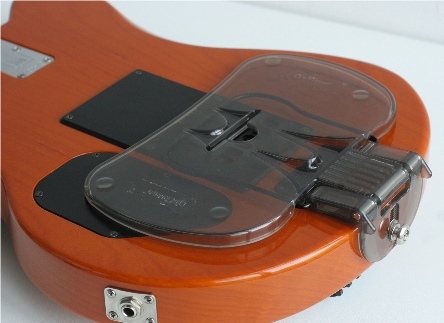 Bass and acoustic Kickstands are in development. Posted by ST999 on Fri, 07/27/2007 - 11:18. Might look a bit gorky, even if hidden from view most of the time. Benefit is though it can act as a scracth pad. Posted by Todd Stevensen on Wed, 08/01/2007 - 09:48. So simple yet so cool, I recently put one of these on my Les Paul, it's like I've been using a fork to eat soup my whole life and now I have a spoon. I wish I had it years ago. Posted by Mark McKee on Wed, 08/01/2007 - 22:29. I think this company was at NAMM a couple years ago, but it was called Quickstand then. I bought one & it works great, but mine looks clunky compared to what I see here. It sure made my wife happy. Posted by Adam Hoffer on Fri, 08/03/2007 - 06:56. Put it on last night, I love it. It's always the simple ideas that work best. Great product. Posted by Alfred Avartanian, Vartani Jewelry on Fri, 08/17/2007 - 00:52. I was a witness of how this product was born. It was amazing how Greg Kellog, with hard work and faith in his creation, made a memorable gift to the music world. He's been my neighbor and a great fellow friend for the last two years. It's been a pleasure knowing him and presencing his creative thinking. Posted by douglas miller on Sat, 08/25/2007 - 08:54. Thanks for the Kickstands guys, my floor display in my guitar store looks great, I kept one for myself and it works perfect like you said. Posted by Mike on Tue, 04/15/2008 - 02:41. 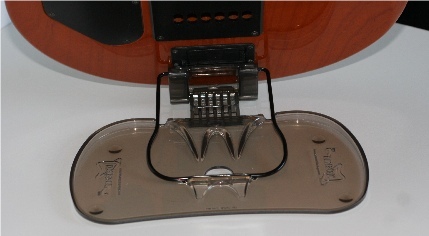 This is a great idea, however before I would use it I would have a rubber pad put on the side that contacts the floor, I wouldn't really want my guitar slipping over, it is stilla brilliant invention.